MagicBond Tile Adhesive is a polymer modified grey / white cement based adhesive for fixing all types of tiles on floor/walls. It is suitable for both internal & external applications. 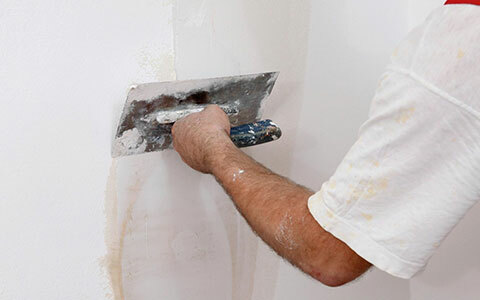 It provides excellent water proofing properties and resists cracking of tiles. 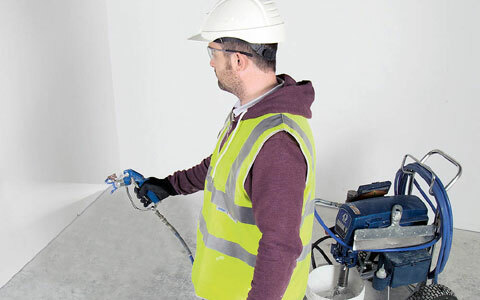 The application surface shall be rigid, and free from oil, grease, paint, loose plaster or any other dirt particles. What is the thickness required for achieving a good workable & durable bond? 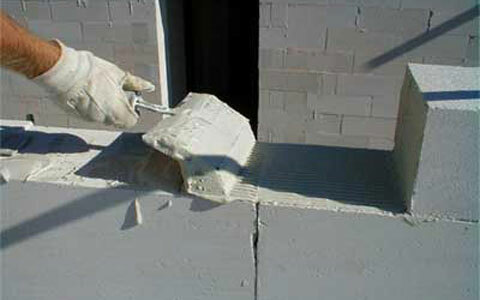 Desired bonding can be achieved by applying 3mm thick layer on the tiles/substrate. 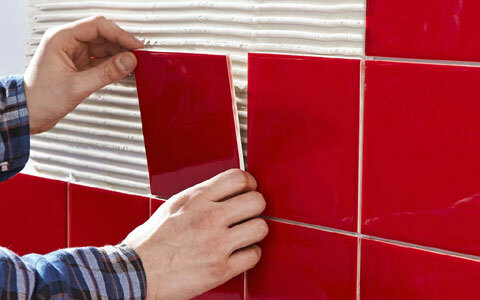 Within how much time one should fix a tile after applying Magic bond – Tile Laying Adhesive on the substrate? 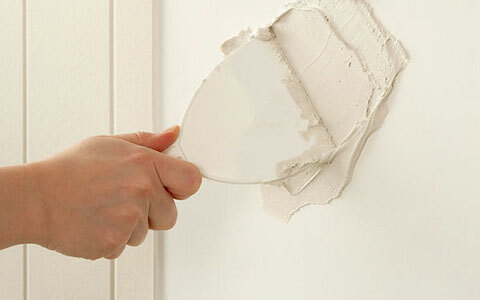 One should fix a tile within 15-20 minutes of applying Magic bond – Tile Laying Adhesive. Does Magic Bond – Tile Laying Adhesive allow possibility of correction after fixing? Yes, you can adjust the tile position within 15-20 minutes of fixing it. How much water is required to create a mixture? What coverage can be achieved with Magic Bond – Block Joining Adhesive for 3 mm thick bedding? In ideal conditions, approximately 2 sq. ft./kg, if the base surface is evenly levelled and work is carried out with proper tools and by a skilled worker. What is the pot life of Magic Bond – Tile Laying Adhesive? Standard & Elite variant has a pot life of 60 minutes, while White variant has a pot life of 30 minutes. What is the shelf life of Magic Bond – Tile Laying Adhesive? 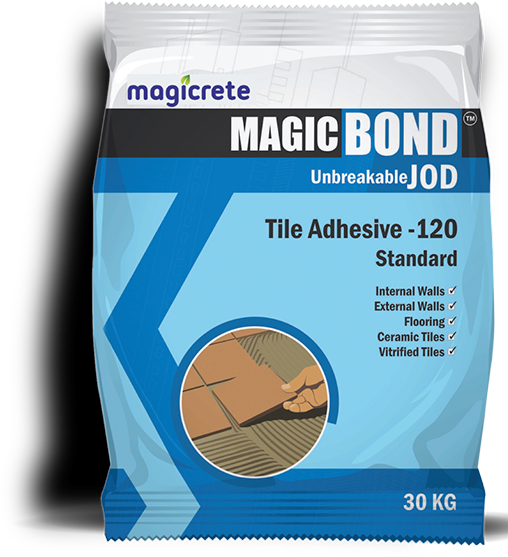 Magic Bond – Tile Laying Adhesive carries a shelf life of 6 months if stored in cool & dry place.